This MCEdit filter helps you move Redstone Command Blocks that use setblock for signalling around. Select the area with CommandBlocks signalling using setblock and run the filter. This adds alias signs to your build at each of the setblock targets. Re-arrange the command blocks and signs then select and run the filter again. This changes all the alias references to absolute co-ordinates and cleans up the alias signs. You can change the input parameters, but generally don't bother. 1. 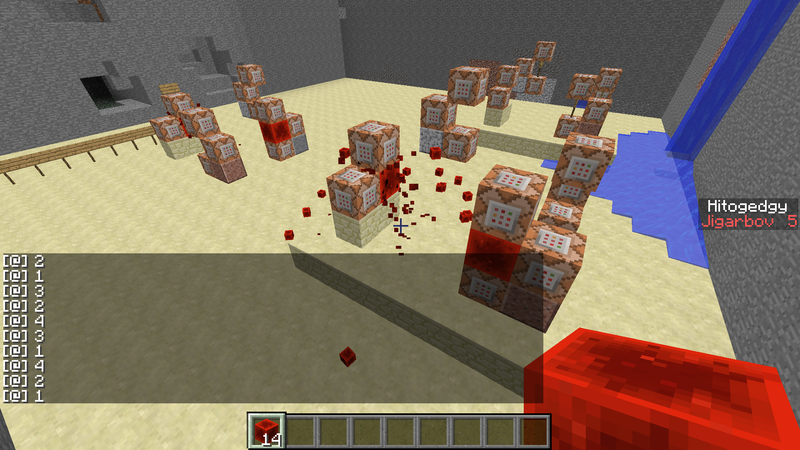 Only SETBLOCK and TESTFORBLOCK is implemented properly at the moment. All setblocks will be affected though, so choose wisely.